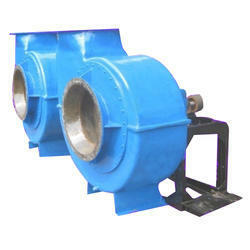 We are manufacture of Air Blowers. Air Blowers are used for low pressures, generally, less than 3.5 KPa. We are manufacturing centrifugal type blower which is used for ventilating work, moving large volumes of air or gases through ducts, conveying material suspended in the gas stream, removing fumes etc. We offer best quality FRP Blower gas scrubbing systems and Fume exhaust systems. Air handling equipment plays a vital role in chemical, pharmaceutical & various other industries where poisonous & corrosive gases laden with vapors and particulates have to be handled. Manufactured using special Fiber Reinforced Plastic (FRP), our FRP Blowers are known for their performance and the strength they carry. Coroseal Chemical Equipments Pvt. Ltd. 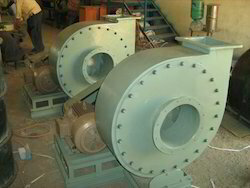 Being an illustrious Supplier of Frp Blower, we endeavor to achieve 100% customer satisfaction. Purchasers can trust us to deliver orders within the specified period. Our goods can be ordered in wholesale as well as in retail.